I created a manly scrub for Mike’s dry skin. Since March is here, it’s time to start sloughing off that dead winter skin to create a nice clean slate for all of his favorite manly man products. Sponsored post by Lunchbox, all opinions are 100% my own. The winter does a number on our skin. I have a wide variety of exfoliating scrubs and washes, but most of them are in girly scents. Mike wants no part of them because of their feminine-scented aroma. Challenge accepted. I was off to create a manly scrub recipe just for him. Mix all ingredients together and store in a jar. Makes a teeny bit over one cup. I was able to fill about one and a half jelly jars. I didn’t want to make too much until I learn the shelf-life of this mixture. No food coloring is necessary since the green tea provides more than enough green color. Ladies, don’t let the name of this scrub let it stop you from using it. It’s great for us, too. The eucalyptus smell is quite powerful, so keep that in mind. It does a great job of clearing sinuses! With March comes March Madness and the need to get game ready. Since this scrub is green, I also deem it lucky. It’s also extremely energizing to get you pumped for the game. After exfoliating, your skin will be ready for the rest of your favorite products. It’s an ideal time to stock up on Dove Men+Care, Degree Men, AXE, Vaseline or Suave Men! Purchase the Official Pregame Products of the Final Four® to get your chance to win. When you purchase any one full-size product of Dove Men+Care, Degree Men, AXE, Vaseline or Suave Men at participating Walgreens and Duane Reade locations 3/01/15 to 4/26/15, you will receive a unique code printed along with your receipt (Locate the special code on the printout received with receipt at register). Pick up your roster of products at Walgreens or Duane Reade, and then head to bit.ly/1zmhKUk until 4/26/15 to enter your code to receive one sweepstakes entry for a chance to win an NCAA® Final Four® Experience in 2016. I love the dove and vaselline men skin care products. Scott would like the AXE White Label Antiperspirant Stick Night and Dove Men+Care Body & Face Wash Hydration Balance. I like that they’ve already got several different men’s products. Would love to see more though! I was sure blowin away with this pic.I use Dove products daily. The product I would buy my husband to get game ready is the Suave for Men Men Body Wash Refreshing, Classic Masculine Scent. Dove Men Care products for my hubby. He loves the Moisturizer. Then on to Axe Body Spray for me and my husband!! I love how Walgreens always have the products for everyone in my family. My bf loves all those products and I’m sure we will buy them. He loves Dove, he says it moisturizes his skin. I like that you can mix and match and get B1G1 50% off! My son likes the Dry Antiperspirant my Degree, and he loves the Axe Bodywash! He also uses the Men +Care Body wash and Shampoos! These products smell so good! I’m glad that men’s bodycare is getting its due. My brother and dad would love ALL of the products! My husband and son love these products! My son especially likes the Axe products. I learned about the great deal going on right now buy one get one 50% for axe, degree men, suave men, dove men, and vaseline men righ tnow. i love shopping at walgreens and i love using dove products they are just awesome. 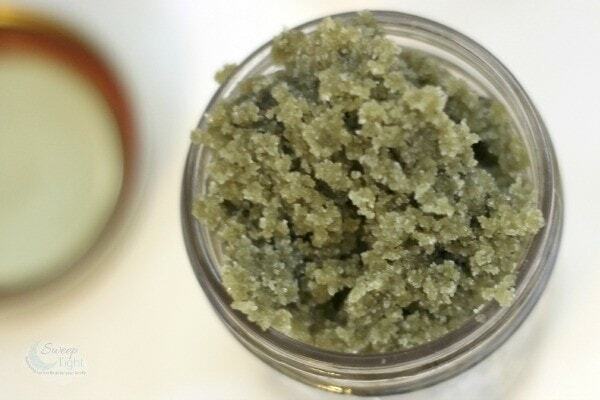 Love your recipe for a ‘manly’ scrub. Dove is a favorite in our house. This sounds like a great manly scrub. Axe is one of my husbands favorite brands to use. I really like the smell of the DOVE MEN+CARE HYDRATION BALANCE BODY + FACE WASH. Also, I really like your DIY scrub for men. Most of the DIY scrubs are all mostly scented for women. I would love to win Suave for Men Body Wash Refreshing, Classic Masculine Scent for my husband. We shop at Walgreen’s all the time and picking up this Body Wash would be so easy to get for him. I would get my husband the Vaseline® Men Healing Moisture Fast Absorbing Lotion, his skin desperately needs it. 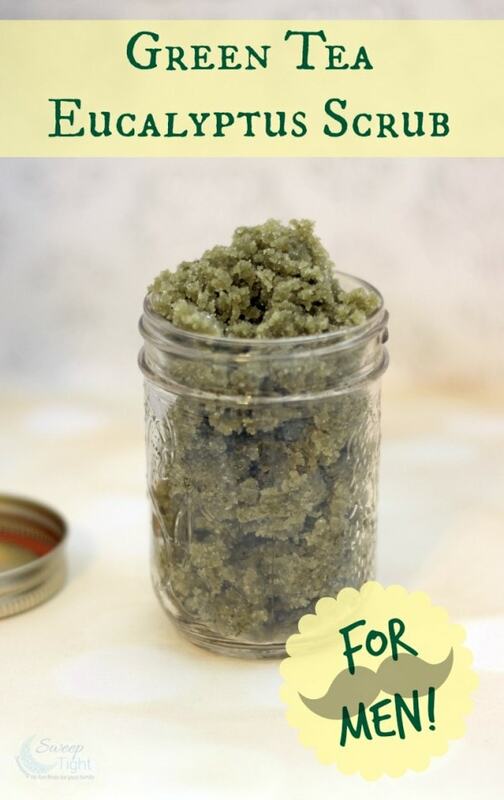 I can never find homemade skincare for my husband! Thank you for posting pinning for later. You can buy one and get 50% off the second. I like that the Vaseline Men Healing Moisture is not greasy and is also fast absorb.ing. I like Degree Sports Defense Dry Spray!